#1 BESTSELLER ON AMAZON – Available now! The Money Queen’s Guide is an uplifting and informative financially grounded book that helps women obtain and then protect financial success through the evolution and growth of their professional careers and personal lives. As much as women today are motivated to make money, we often do not consider the crucial relationship between what we do today and how it can impact our life tomorrow. 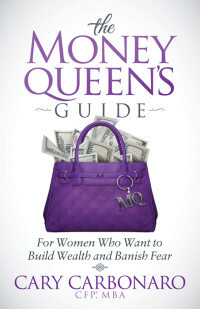 The Money Queen’s Guide is a book written for the woman who has it all, but often struggles with the ability to balance her success with her future needs and goals. 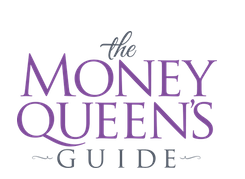 The Money Queen’s Guide will help readers to plan out their financial lives and plan for growth and success, while avoiding the pitfalls that can derail financial security along the way. Chapter 1: Are You a Material Girl?  Learn what you can control and what you can’t! Your Fantastic 40’s: What’s Next?